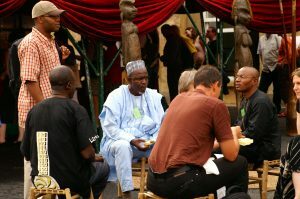 The Association for African Studies in Germany (VAD e.V.) was founded on 16.3.1969 at the University of Marburg, and was initially known as the “Association of African Studies Scholars in Germany”. Modelled on the German Oriental Society, it was originally conceptualized as a regionally defined, scientific and interdisciplinary forum. Its objectives were the promotion and exchange of ideas between scholars of African Studies working within the university setting and beyond, transcending national and disciplinary borders.